Humans live in the city, Tanuki roam the earth, and Tengu soar the sky. The Shimogamo family, a family of shape-shifting Tanukis, lives in the Forest of Tadasu, within the vicinity of Shimogamo Shrine, located in Kyoto. The four brothers of Shimogamo, who succeed the blood of Soichiro, their late father, who was the head of the Tanuki world, were living rather happily, surrounding their mother, who is a diehard Takarazuka fan. uncle Ebisugawa Soun, and the scene with the ‘Friday Fellows’, all of the above has been blown away into the night sky of Kyoto by a gust of wind. Time has passed, and now is the time of year when the pleasant scent of young leaves fills the streets of Kyoto. The furballs begin to roll out without minding their behinds getting cold. Benten, the beautiful woman, who was kidnapped and granted divine power by the Tengu, has left Kyoto behind, and the Great Tengu Professor Akadama, a.k.a. Yakushibo Nyoigatake, who was madly in love with his former pupil, just spent his days away in his rundown apartment, drinking Akadama Port Wine while lying in his never-made bed, scattering about loneliness and frustration. 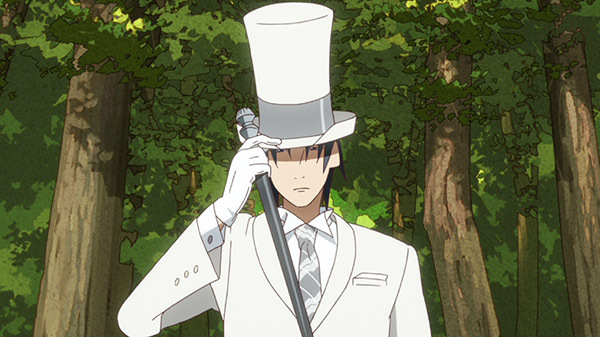 One day, “The Junior”, estranged son of Professor Akadama, who disappeared after losing a fierce father-son dispute, has returned home after a century, now an English gentleman. Out of the blue. Lo and behold. Caught unaware. The big news spread in and out of the Kyoto area in the blink of an eye and shake up both the Tengu and Tanuki worlds. The paths of Humans, Tanukis and Tengus intertwine in Kyoto as the second volume of the furball picture scroll unravels! This was my thought when I finished writing the sequel. As a clumsy writer, I have lost my proper consideration for the production staff and could not withhold my wild fantasies. When I reflect upon the countless obstacles that everyone in the production staff will be facing, I am in endless remorse. Please, forgive this rambunctious author. This is an abbreviated formality, but with this comment, I hereby express my apologies, and offer my pray for the birth of a masterpiece greater than the first season. 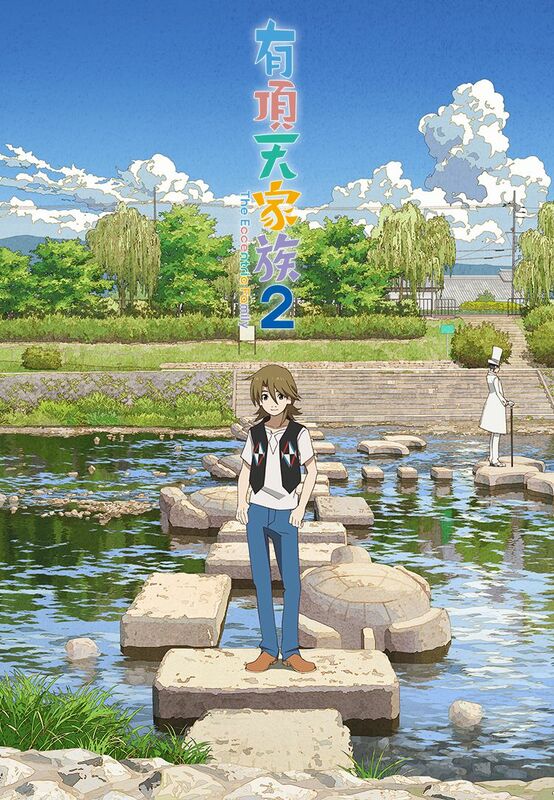 The highlight of ‘Uchouten Kazoku 2’ is the attractive new characters. 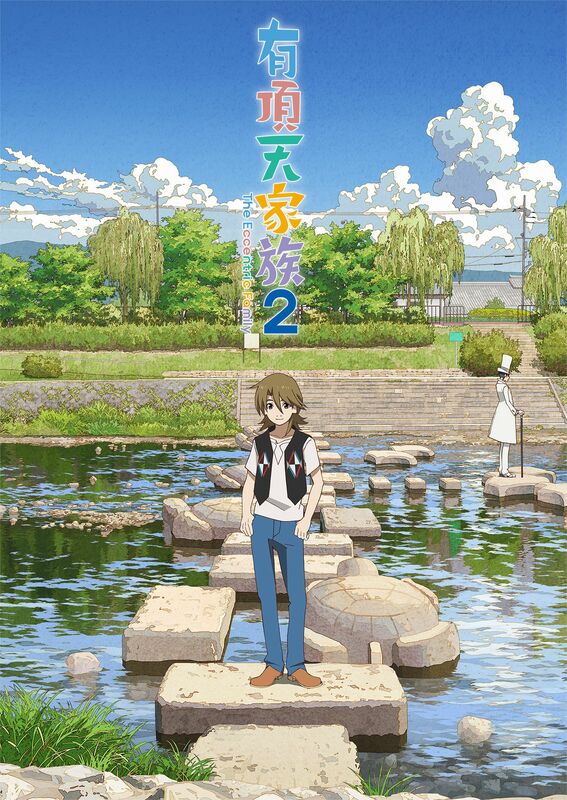 Please watch and read the first season, and then enjoy this new world to the fullest. To visually adapt part 2 of the original novel, I felt the need for greater determination and to become more adventurous, even more than the previous season. We want to make this animation, but if we become careless, we'll end up in the Tanuki pot. In a world surrounded by fluffy furballs, we crave for that taste of happiness we previously had. We may roast in the inferno flames if we fail to grab hold of the spider's thread. Many thoughts filled my mind, and I realized that what were previously whispers coming from the fool's blood have now gathered into a resonating song. By humming this song, even when I'm looking over the edge of the Friday's Fellows' Tanuki pot, I can dance with a smile.